The Northern Lights project is continuous. 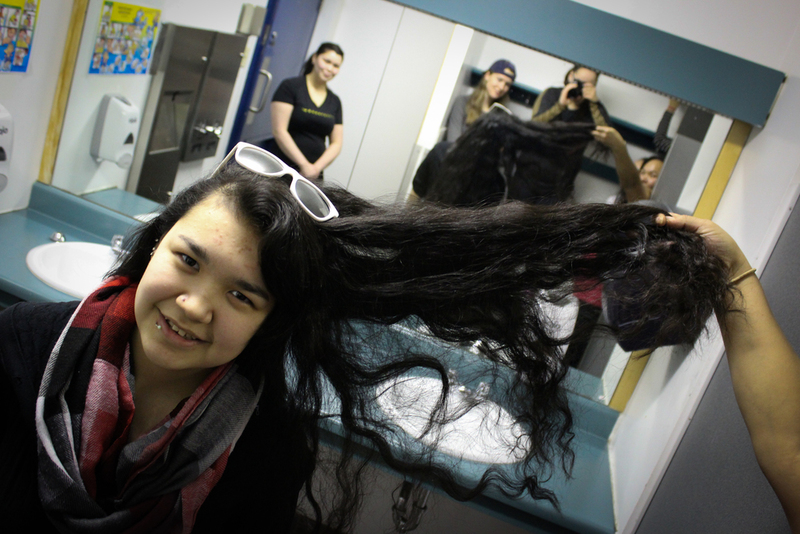 It started in Kangiqsujuaq but the impact has and will last for months, even years to come. Students experimenting with the cameras in various colour modes. Playing team games after a day of mental health and photography workshops. Bathroom fun! Students are always experimenting with different points of view. Student writing supportive messages on Post-It notes for distribution around the school. Always bustling around, these students show movement and excitement through light painting. One fly on the wall captured this image as we were bonding over break-time games. Bunch of students find new ways to take photos of those around them. 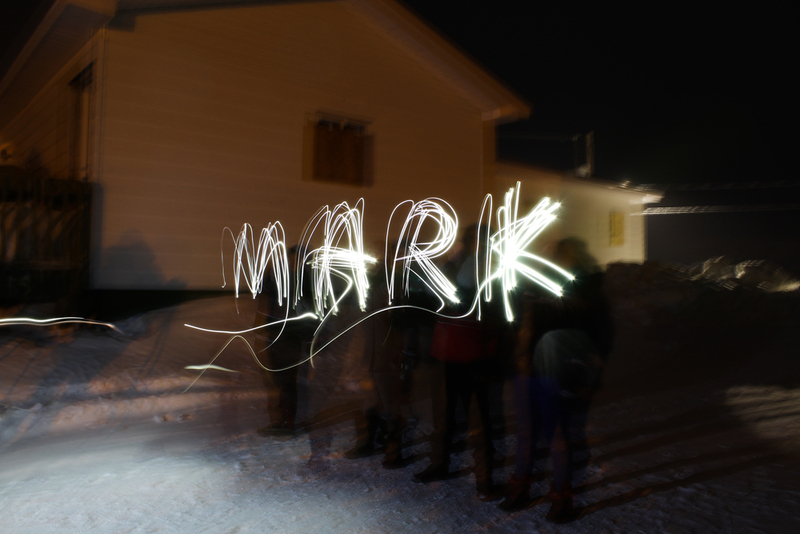 Students light painting "Kangiqsujuaq" in Inuktitut. What better way to show their love for a new little baby than to light paint his name in the air? 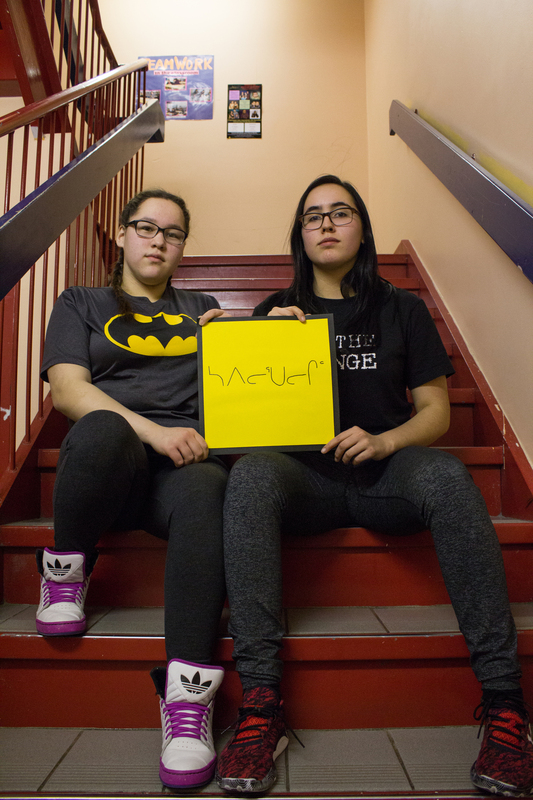 Students holding up a message saying "Don't give up" in Inuktitut, which will soon be used to create anti-stigma posters. A peer image of a student fiddling around with the school's guitar. Another student holding up an anti-stigma message for the posters, this one saying "You are strong." One of the happiest babies in existence. Little visitors who popped in to check out everyone's work. Caught in action. Watch these students work on their anti-stigma portraits with their patient model. A gorgeous pattern embroidered on our translators mitten. Using the photos the students took of their anti-stigma messages, Eva from the NIF team later transformed them into posters that can help those in need find resources and someone to talk to. The samples below will then be printed and distributed across Nunavik. Throughout the Northern Lights project, our videographer, Eric Foss, has captured footage and interviews, which he used to create a documentary about the mental health situation faced in the village. The peice was translated to both French and Inuktitut from English, was released August 10, 2016. See below for the trailer and full documentary.